Business Records Management is a British owned leading independent document, file and archive storage company, offering services to clients including financial services, legal and and accountancy firms. 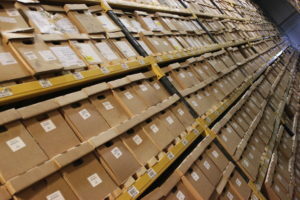 Storing boxes of old files is an expensive hidden cost to business. 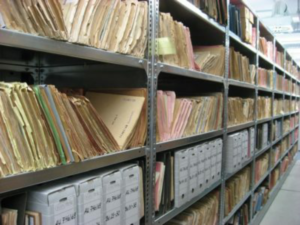 The files and documents in archive boxes need to be kept for legal or statutory reasons and yet the contents are rarely looked at. Out-sourcing file management frees both human resources and fixed assets for more profitable employment. BRM will take over the management of files that are used on a day to day basis. We work with a variety of businesses across the UK. Whether you are a large corporate company with 100,000+ boxes or a small company looking to clear an office to make room for expansion, BRM will have a package to suit you. Call us on 01733 405100 and talk to one of our Sales Team .